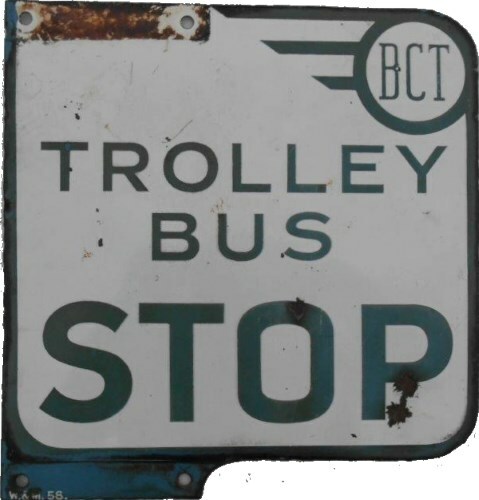 Lot 180 Bradford Transport Enamel "B C T TROLLEY BUS STOP". Double Sided. Along with a "DERBY CITY TROLLEY BUS LOCATION BLIND". Both in good condition.